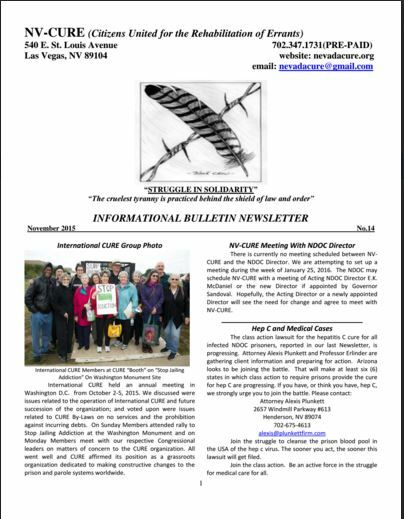 Our latest Info-Bulletin is available now! Nevada Cure has just published its 14th Informational Bulletin for the months of November and December. You can read an/or download this issue by clicking on this link. Our imprisoned members will receive a printed version of this issue. Or send your donation via Paypal.